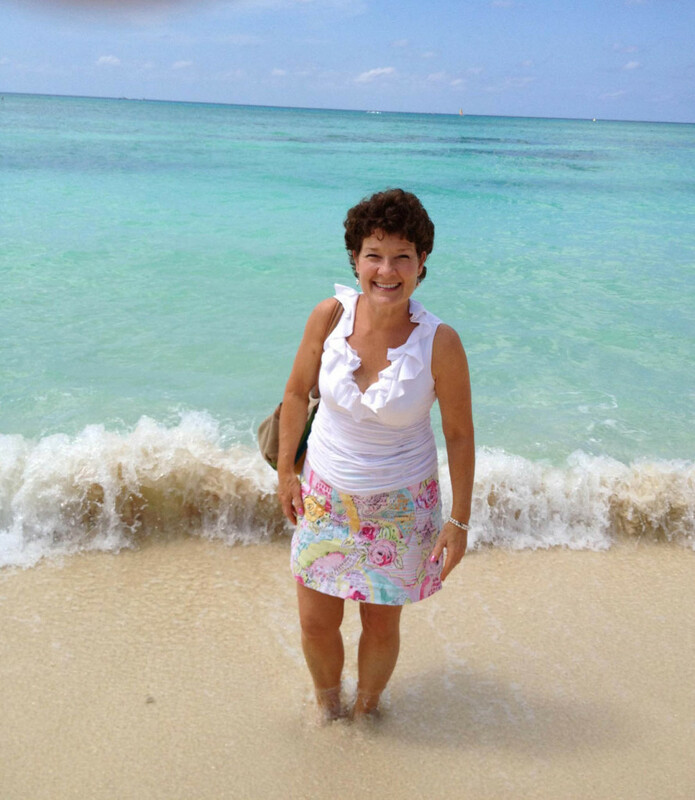 While you were shoveling snow, we were enjoying the sun and beaches…. 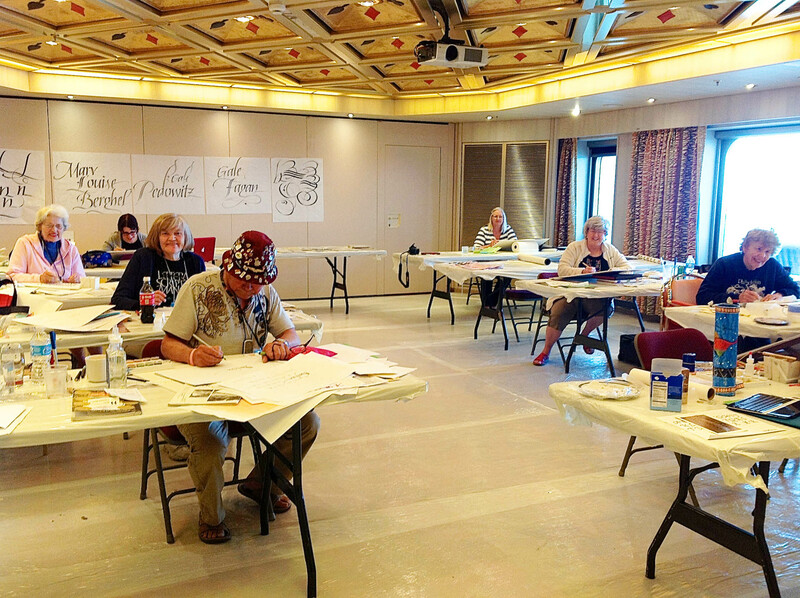 The 2014 Calligraphy Cruises are selected and posted on my website! In March, we’re off to the Eastern Caribbean (from Ft. Lauderdale) with the calligraphy focus – Engrossers’ Script and Flourishing. June takes us to Alaska (from Seattle) with the focus – Flourished Italic and Decorative Painting on Glass. 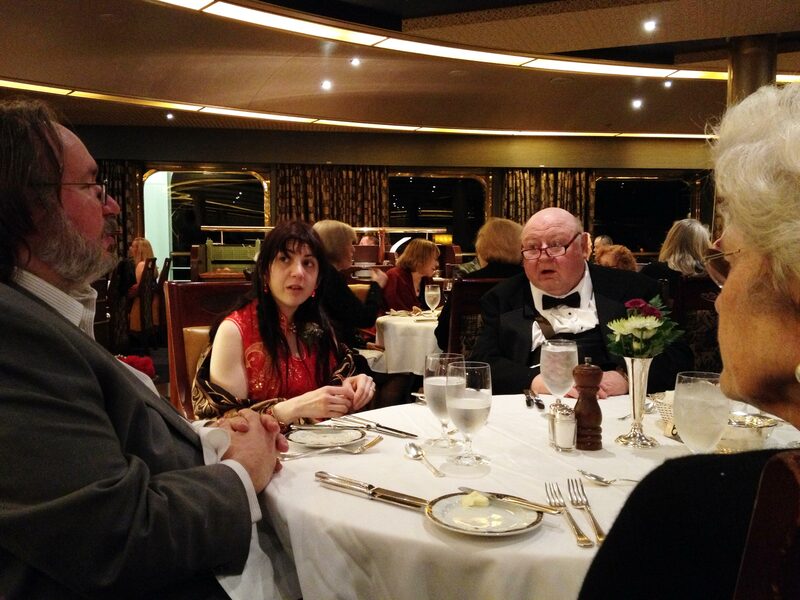 Gary Lord and his wife Marianne will be joining us on the Seattle Cruise. www.PrismaticPainting.com Please call Holly about the classes and Peggy Whalen with Holland America Line questions or reservations. $100. reserves your place in class! 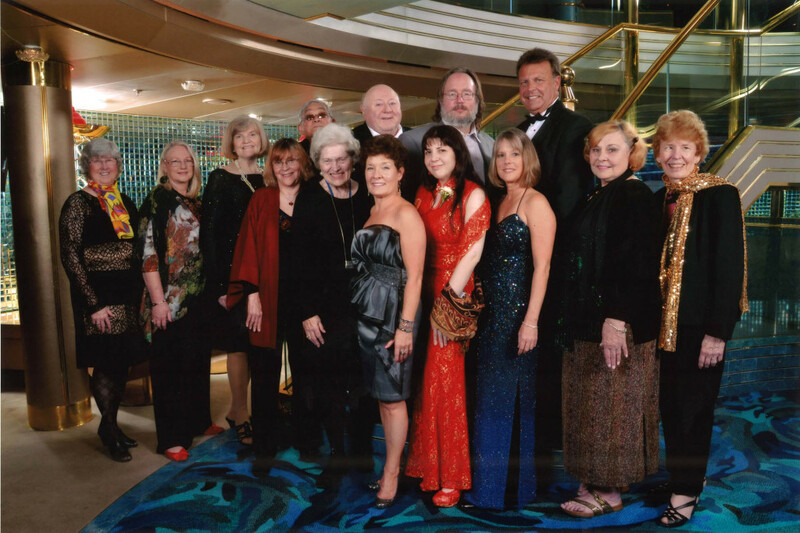 Cruises > www.HollyMonroe.com > Scroll down on the home page and find the Calligraphy Cruise logo or click on my CLASSES page. 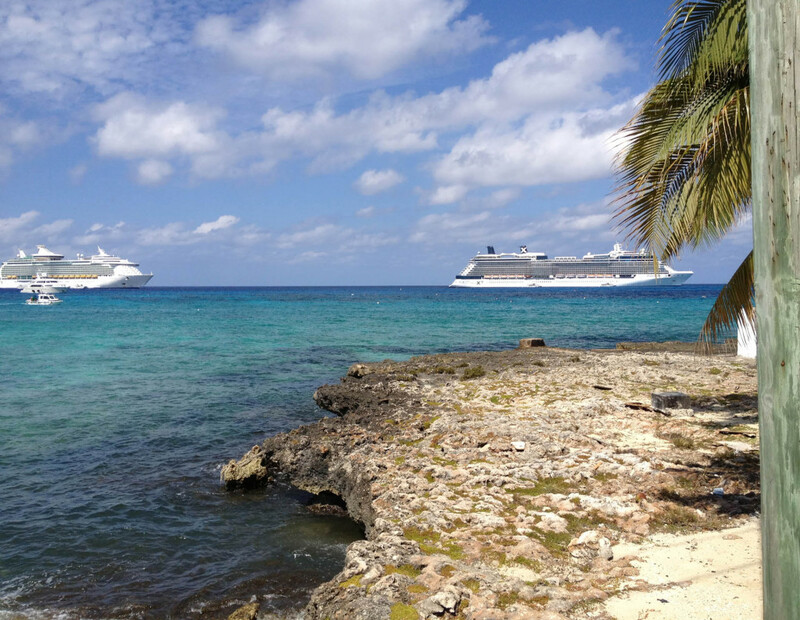 You can download the Class and Cruise info for both. Enjoy the pictures of the 2013 Calligraphy Cruise to the Western Caribbean. We had a great time! 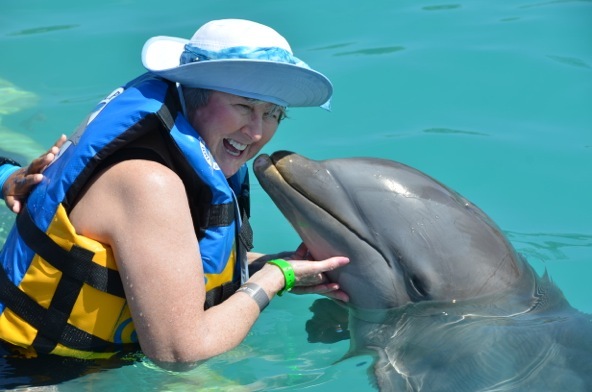 A spacious workshop room, new friends…..
Fun in the sun at ports of call….Jill Quillian with the dolphins, up close and personal! 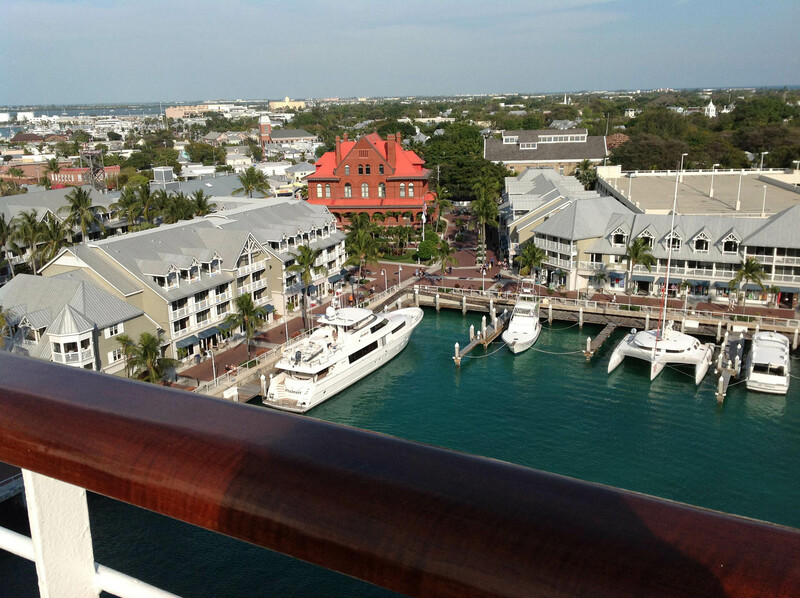 Key West from the deck of the msWesterdam…. 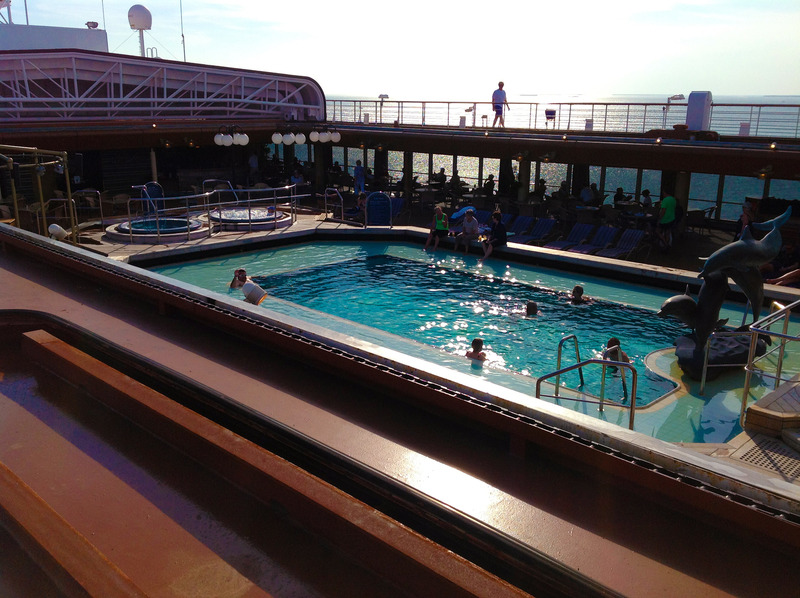 Several on-board pools, hot tubs, spa’s…..
Two formal nights….but always 5 star dining! 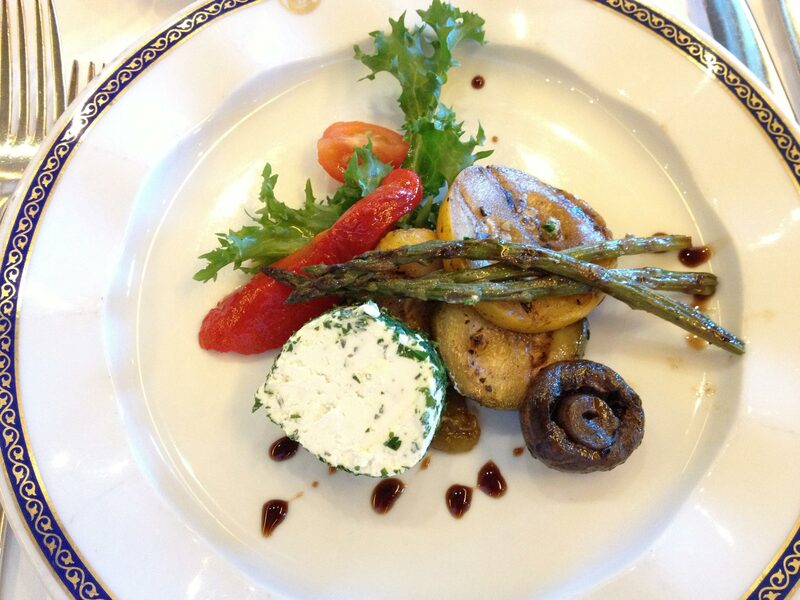 Gourmet picnic on the ship’s deck….with travel agent Peggy Whalen. 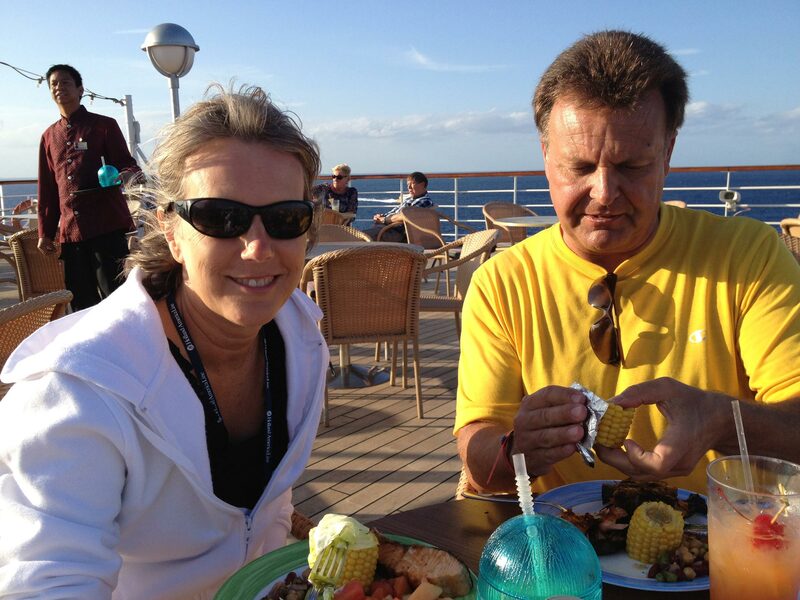 Contact her at peggy@sunconnections.com or (360)-606-9339 for cruise details. And there’s a lot more! Hope that you can join us!